You're a single visit away from a sensational smile! No more temporary crowns or fillings. No more waiting weeks for treatment to be completed. No more endless visits to the dentist. How it works is quite simple. 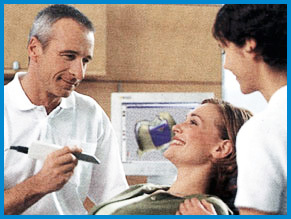 Instead of taking a traditional impression in the mouth, the CEREC 3D system scans and creates a detailed digital image of your tooth. It then uses this scan as a template to produce and generate the actual cosmetic filling, inlay, veneer or crown right there in our surgery. 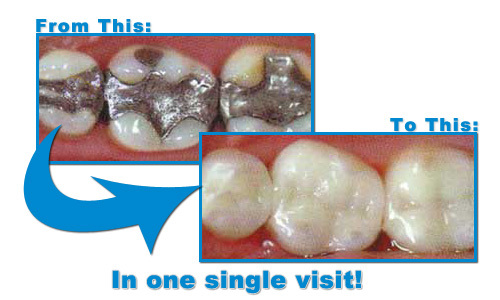 This means the patient can have their crown or inlay fitted all on the same day. No more waiting, no more second visits or temporary crowns or fillings. Think of the time you would save!